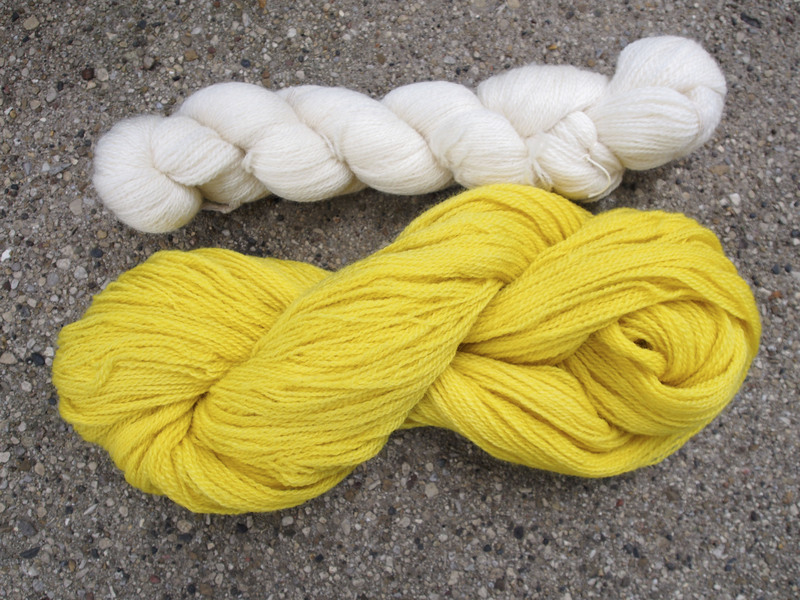 After last weekend dyeing at the soon-to-be Sugar Beet Coop, Maggie invited a few people over to her house to dye some yarn, and use more of the Indigo. 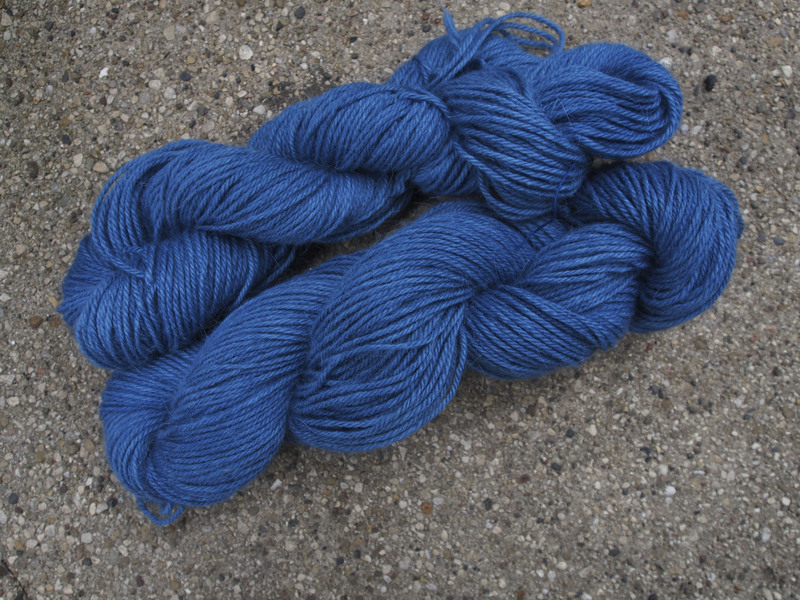 First I took some lovely angora blend sock yarn, and dyed it in the Indigo. I love this color, the look of blue jeans in the softest of sock yarns. Unfortunately, the color is rubbing off on my hands, and has diluted a bit. I need to see if I can overdye it again, and get something to set the color better. 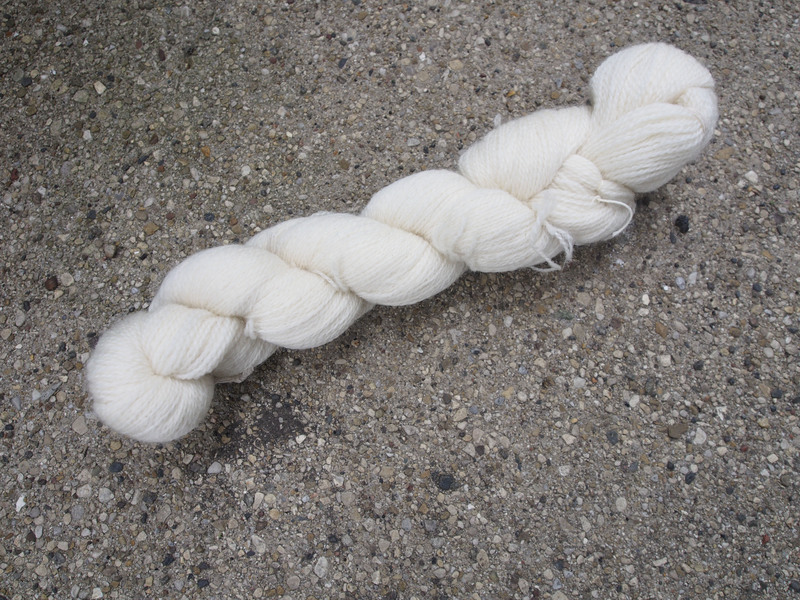 The other yarn that I took to dye was some nondescript Merino, imported from China, that was given to me years ago. I never had much interest in working with it. That is until now! Here is one of the skeins dyed in Weld I think, again thanks to Maggie. Look at that beautiful, rich color. At some point I heard someone mention vinegar can help set the indigo when it is rubbing off. It might be worth researching. I tried vinegar, but perhaps my solution was too weak. Beautiful colours! I really need to try indigo at some point as well. Thanks! My little foray into Indigo dyeing has me wanting more also. Perhaps next summer, as it seems like a good outdoors project.